Aside from my raging Anglophilia, there’s a reason I follow the London folk scene: it’s just good. The city is a hotbed of talent, and there are plenty of supportive locals trying to harness it. I owe a lot to these folk evangelists–not only are they helping artists record and release great tunes, they’re helping people like me discover them. From across the globe. Like fellow folk community Communion, the label I’m here to introduce grew out of a live night. If you’ve ever stumbled upon the Queen’s Head pub on Acton Street, you may have seen an event called Folkroom–run by Stephen Thomas of We Write Lists and guitarist extraordinaire Ben Walker. 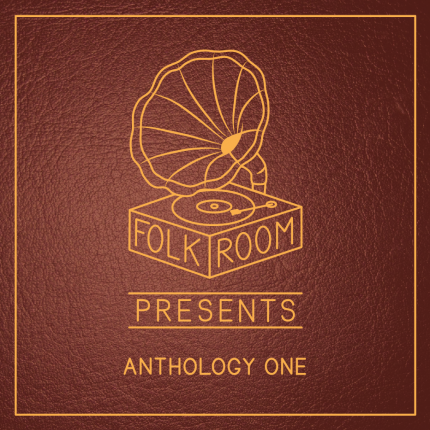 These two folk aficionados, along with (fellow 405) writer Robbie Wojciechowski, have decided to turn the fortnightly gig into something bigger and better, and are starting with Folkroom Presents: Anthology One. It’s an album showcasing some of Folkroom’s star performers, and it’s honestly the most exciting thing I’ve heard in some time. Want to know the best part? You can download the album FOR FREE this Saturday December 17th, at 12pm UK time. And you should–if only so I can finally talk about it with you. I’m getting antsy not being able to share, so head to Bandcamp as soon as the clock strikes noon. If you’re in London, it gets even better. There’s a December 17th launch party at the Queen’s Head, and most of these fine folksters will be performing. This ten-plus act gig is also the wonderful price of FREE. Check out more info here. This entry was posted in andrew butler, camille delean, dave gerard, jesse moncrieff, josienne clarke, laura boyle, lucy cait, o. chapman, salwa azar, woodford green, worry dolls and tagged andrew butler, ben walker, Camille Delean, communion, dave gerard, Folkroom, jesse moncrieff, josienne clarke, laura boyle, london, lucy cait, O. Chapman, Robbie Wojciechowski, salwa azar, Stephen Thomas, the queen's head, woodford green, Worry Dolls on December 14, 2011 by kredcarroll.